S & J Caulking is Omaha’s answer to all your residential exterior caulking, sealing, concrete and masonry repair needs! The certified caulking contractors at S & J Caulking are dedicated to serving the Omaha community with the finest, most affordable caulking and sealing services and driveway repair. 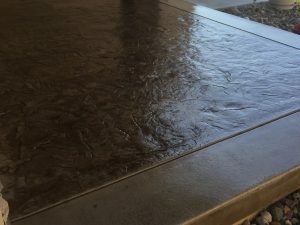 We are a local caulking company who truly understands the unique challenges Omaha residents face when it comes to keeping your concrete, stone, or brick patios, pool decks, walkways, and driveways free of cracks, corrosion, and additional damage due to frequent harsh Omaha weather. The S & J Caulking company’s sealing and caulking experts can help you extend the life of your home’s exterior elements, providing specialized caulking services to protect, maintain, and repair your driveways, concrete or brick structures, and more! Our Omaha caulking contractors will not be satisfied until your patio, brick, concrete, and driveway repair projects are completed to perfection. Our goal is to provide industry-leading, affordable caulking services– including joint sealing, tuck pointing, weatherproofing, and more–to keep your Omaha home stunning and protected from costly repairs in the future! The S & J Caulking contractors take care of your minor driveway repairs, aged or crumbling mortar, and flaws in your home’s exterior to prevent minor issues from becoming major headaches. We also offer a 3-year warranty on any of our caulking and sealing services! Don’t put off your caulking, sealing, or driveway repair projects any longer! Call the S & J Caulking company today for a free consultation to experience the finest caulking services with the highest customer care. Ask about our 3 year warranty on all products and 15-year warranty on polyaspartic floor coatings! 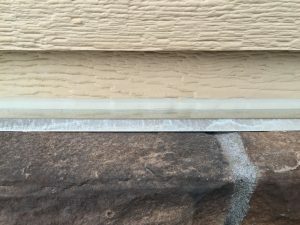 Our caulking and joint sealing professionals have built a reputation as one of Omaha’s finest caulking companies, providing the highest caliber services and affordable caulks and sealants for everything including driveway sealing and driveway repair, new construction caulking, and weather sealing for your existing windows and siding. Our concrete sealer professionals are on a mission to provide Omaha with the highest-quality concrete sealing and weather proofing services for all your driveway sealing and exterior concrete, brick, or masonry maintenance needs. 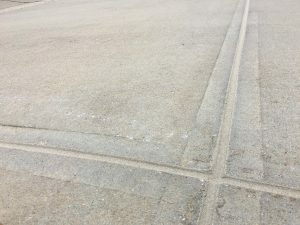 Our concrete sealing team utilizes cutting-edge sealing techniques and the best sealers in the industry. Our masonry and concrete repair contractors are dedicated to making your Omaha home’s exterior and landscaping both beautiful and functional. We help extend the life of your concrete and masonry work to save you from dangerous and costly structural damage to your property. 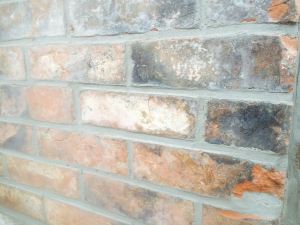 S & J Caulking offers specialized services, including tuck pointing for crumbling mortar and concrete patching. S & J Caulking offers Omaha-area clients comprehensive, affordable concrete sealing services for driveways, patios, swimming pool decks, brick & masonry, and sidewalks to beautify and protect your Omaha home’s exterior! S & J Caulking proudly offers mudjacking, also known as concrete leveling services, in Omaha to help local clients fix their problems with uneven concrete. Our concrete leveling solutions include a 3-year warranty to assure your satisfaction. 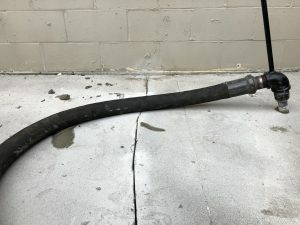 When it comes to concrete lifting, S&J Caulking always utilizes the finest, cutting-edge mudjacking equipment to ensure your concrete is in pristine condition, allowing for nothing to “fall through the cracks” -no pun intended! See What Our Omaha Clients Have to Say! Good guys and AMAZING work! Very responsive and professional. Will recommend to anyone. Thanks again! Impressive work looks as if a machine were to do the job. Great workmanship and fair price. Doesnt get any better than that.